Terraza Forro Project, produced by Terraza 7 and led by virtuoso accordionist and composer Victor Prieto, brings the intoxicating and infinitely rich music from the Northeast of Brazil to our stage to be performed by four master jazzmen from Brazil and Spain. Forró, traditionally an all-inclusive genre that encompasses the Xote and Baiao dances, and is performed in a variety of settings and styles (from the original Forró pé da serra, originated by Luiz Gonzaga, to the more sophisticated Forró universitário and Forró estilizado), receives a fresh and adventurous approach under the musical tutelage of Víctor Prieto, whose musical career features collaborations with Yo-Yo Ma, Billy Hart and Paquito D’Rivera, just to name a few. Terraza is proud to present this project as proof of the immense possibilities of cross-fertilization that can take place in this great city! A must see for lovers of Brazilian music and jazz, but be forewarned–you will struggle to keep yourself from dancing. 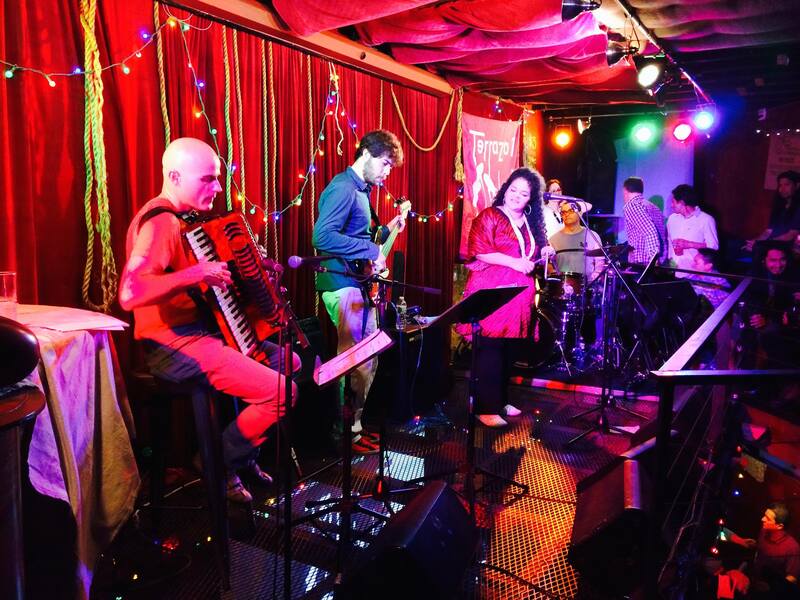 TERRAZA FORRÓ PROJECT at Terraza 7 on Saturday April 18th, 2015 at 10:30 pm. No Replies to "TERRAZA FORRÓ PROJECT"